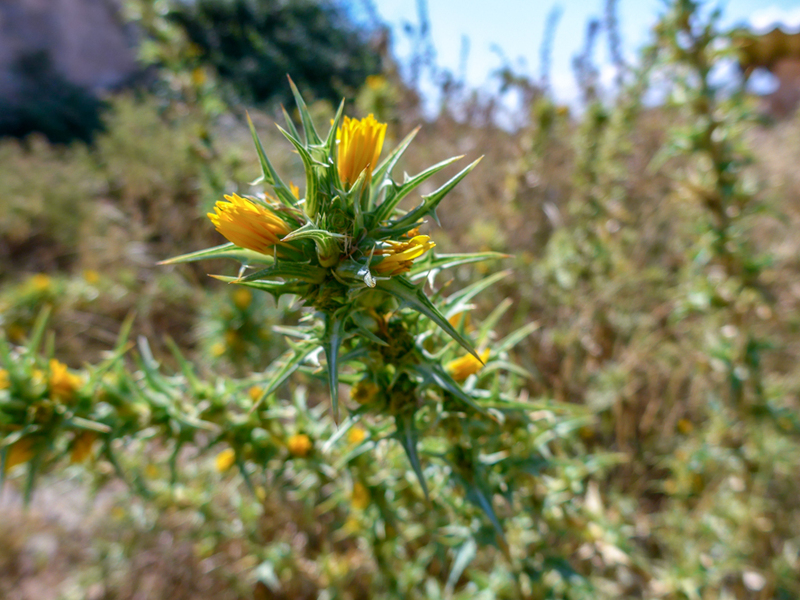 The Clustered Carline Thistle (Carlina corymbosa L.) is a beautiful if prickly thistle with a yellow flower; it is one of the few thistles with flowers of this colour, as the other Mallorcan species have purple flowers. The photo was taken near Santanyí. The date: June 26th, 2014.